The Lodge is a detached wooden chalet-style cabin situated in the middle of the village of Colmonell. 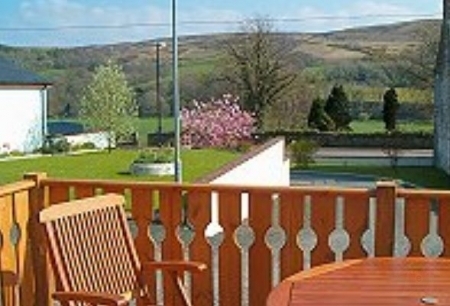 It sits in a private corner on the edge of a quiet and exclusive small caravan site and commands wonderful views across the valley. The accommodation is all on one level and comprises an open plan Dining/Kitchen/Lounge, two Bedrooms (one en-suite) and Bathroom. 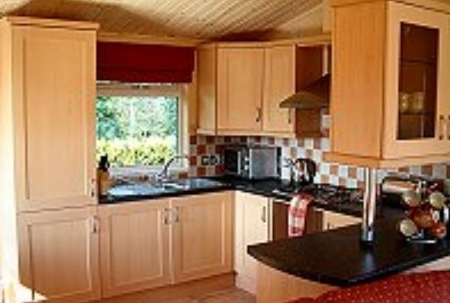 The fitted Kitchen is well appointed with fridge/freezer, washing machine, cooker, toaster and microwave oven. There is plenty of worktop space and all the appliances you will need for your holiday cooking needs. Adjacent to the Kitchen is the sunny Lounge and Dining area. The south facing windows and patio doors allow a wonderful uninterrupted view across the valley to the hills and the ruin of Craigneil Castle. 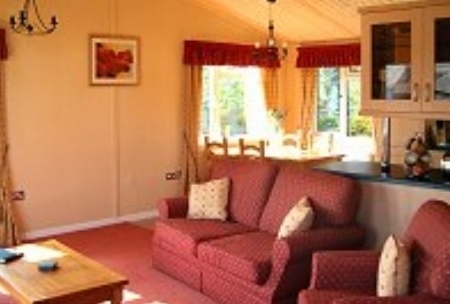 There is a comfortable 3 piece suite, pine dining table and chairs and TV unit. The double Bedroom also faces south and is comfortably furnished with matching light wood furniture. 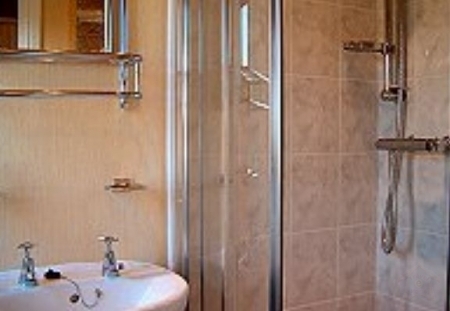 It has its own en-suite shower room. 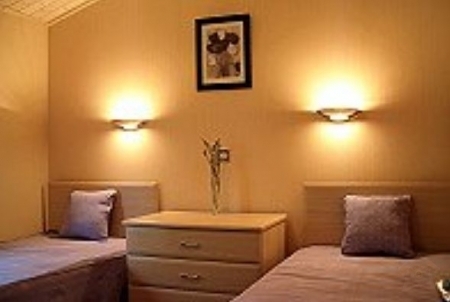 The twin Bedroom is similarly furnished and has a built in wardrobe. There is a tiled Bathroom off the hall with WC, bath and basin. Patio doors lead off the lounge on to the sunny decking veranda, where seating is provided by the wooden garden furniture. Off road parking is available for two cars beside the lodge. Heating is by gas central heating.